Perhaps you’d like to do this, too! Recruit family and/or friends to help with preparations. Ask helpers to bring brunch foods and beverages. Recruit someone to do a brief presentation of the gospel, perhaps using Resurrection Eggs. Invite guests: family, neighbors, and friends, including international friends. Prepare bags for gathering eggs or ask guests to bring their own bags or baskets. Fill reusable plastic eggs with candies. When everyone has arrived, welcome the guests and do a brief (no more than 5 minutes) gospel presentation related to Easter. Hand out bags for gathering eggs. Start the hunt, but ask that the obvious eggs be left for the younger hunters. After the eggs have been found (one of the people who hid the eggs can check), invite everyone to the brunch. Allow the young participant who collected the most eggs and his/her family to go through the brunch line first. “We’ve seen lots of interaction between all who attend. Some internationals wanted to know more about us and our beliefs. Some of the Americans wanted to know more about the students and their lives here and back home. “As far as impacting our neighborhood for God, people are interested that we host this and think it’s a good thing. They are interested in why we do this, which is an opportunity for us to share our faith. They are always amazed when I tell them how few international students visit a home in the U.S. while studying here. 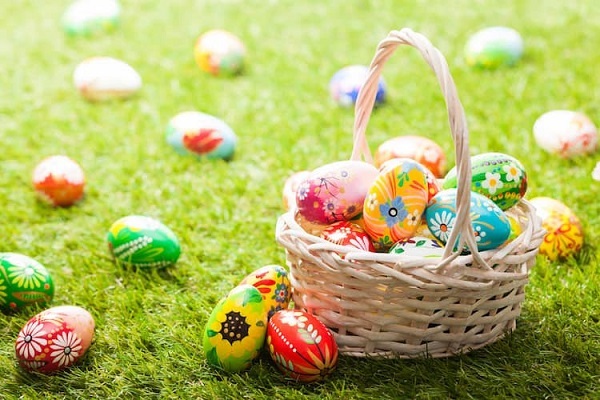 “As for the internationals, I think many of the students are excited to be in an American home and to participate in the Egg Hunt, [knowing it’s an American tradition]. The Hunt is a welcome break from the serious business of their studies.